Cygnus Montanus, the new 33.83m lifting keel oceangoing sloop launched last month by Yachting Development. 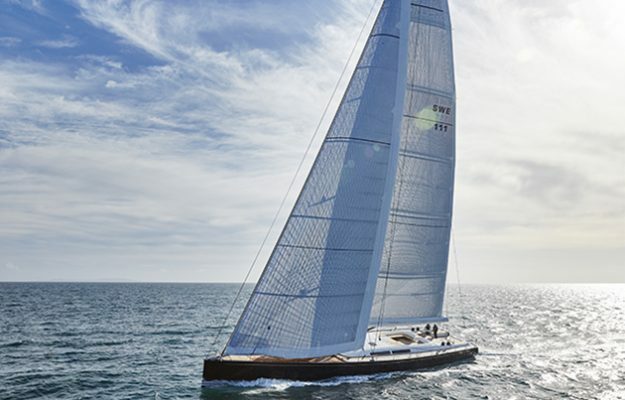 She was designed by German Frers, and has an interior design by Adam Lay Studio. This sailing superyacht was built with both sailing prowess and comfort in mind and it shows in the design. With an interior that looks as comfortable and classy as a penthouse apartment the designers certainly didn’t make any compromises while making this boat a spectacular family space down below.